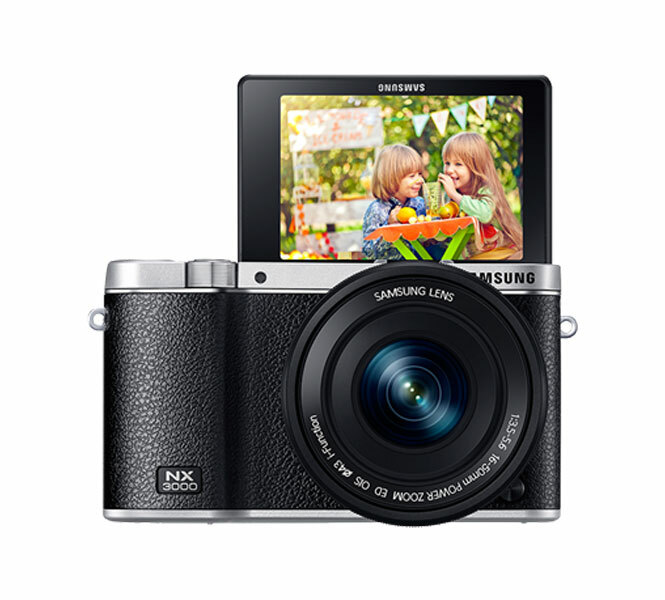 Samsung NX3000 comes with a Smart Camera for smart photography and for smart selfie after the wish of the consumer for selfie photography. It has a flip-up display and WiFi connectivity features that is a unique feature of it. It will be enchanting with 3 colors. 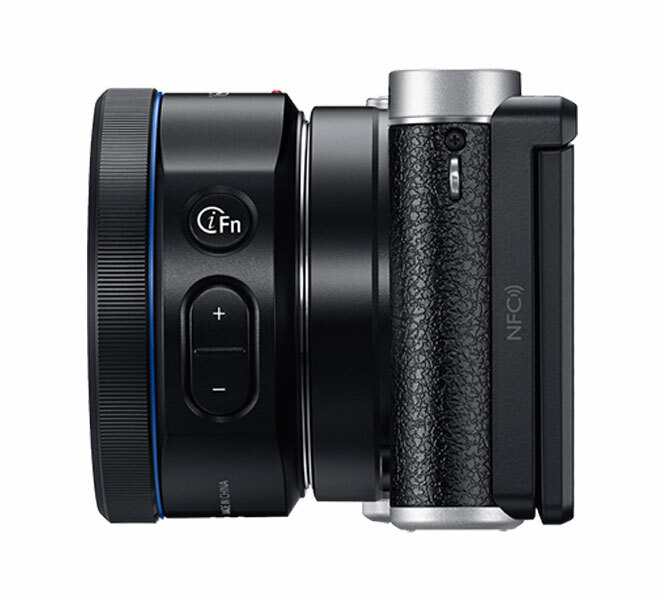 The main focus point is for selfie in NX3000. Now you can capture a memorable picture with NX3000 by own-self no need of any person to click your own picture. It will approach with 20.3 mega pixels APS-C CMOS Sensor, 1/4000 shutter speed and 5fps uninterrupted shooting. 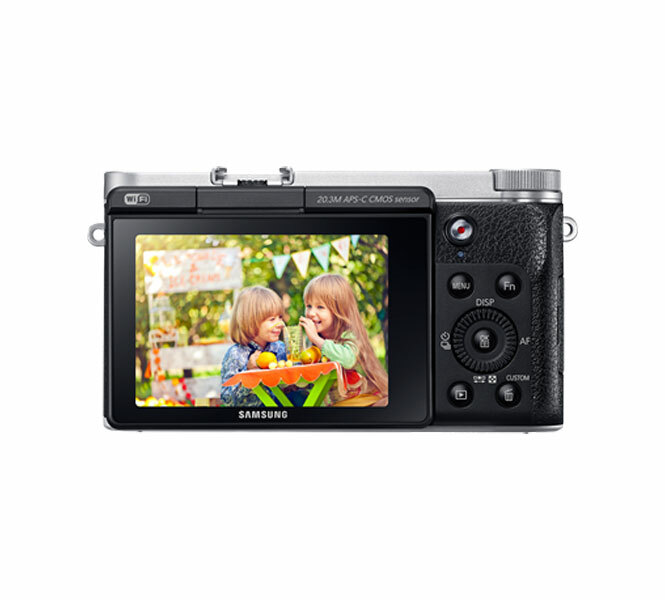 Samsung NX3000 comes with a Smart Camera for smart photography and for smart selfie after the wish of the consumer for selfie photography. It has a flip-up display and WiFi connectivity features that is a unique feature of it. It will be enchanting with 3 colors. The main focus point is for selfie in NX3000. Now you can capture a memorable picture with NX3000 by own-self no need of any person to click your own picture. It will approach with 20.3 mega pixels APS-C CMOS Sensor, 1/4000 shutter speed and 5fps uninterrupted shooting. Its unique feature is zoom connectivity with user mobile through Remote Viewfinder Pro, it create a link to Android device. 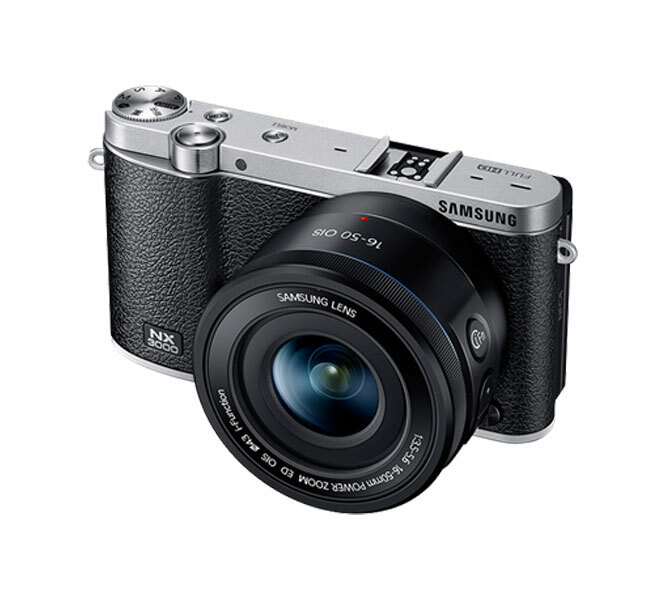 The NX3000 captures image with greater clarity due to ISO25600 it is sensitive toward lights and color accurate. The more reliable is its flip which can be move around 180° for easy selfie. The stunning feature of the smart camera is Retro flair and textured body which handle group shots in different angle. The click provision had been converted to touchscreen with improve quality. The launching will be on mid of June launching price till not pronounced.